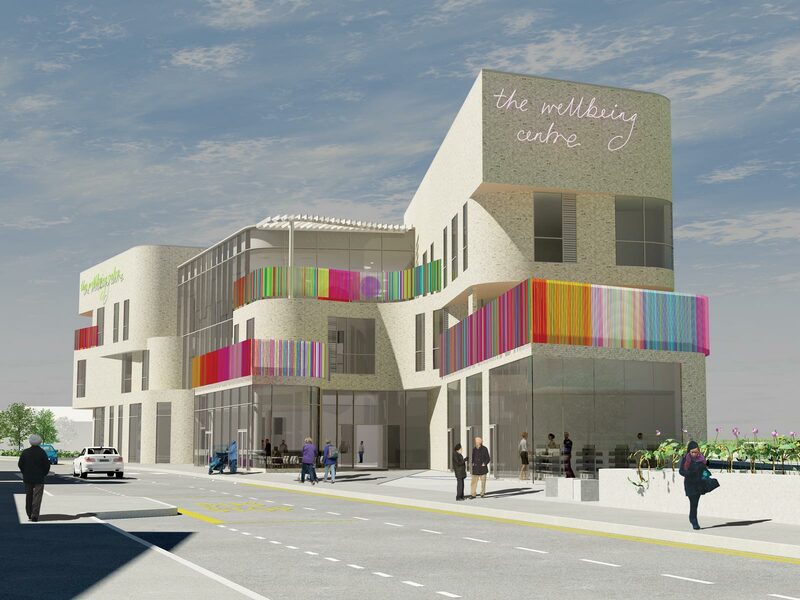 The Wellbeing Centre will be an exciting community hub for Smethwick, a focal point for the town, providing spaces for use by the client, health organisations and the local community. 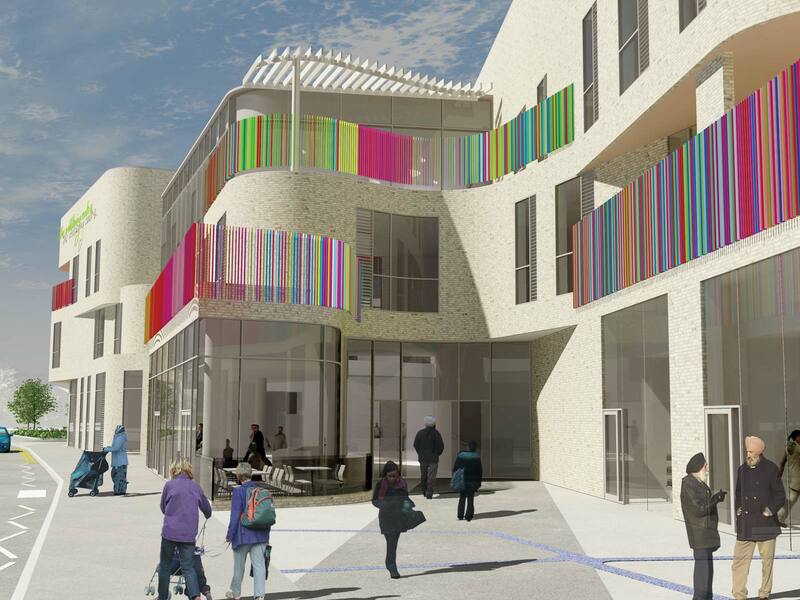 The building symbolises the regeneration of the wider area and provides a holistic approach to the health, social and welfare needs of the community. 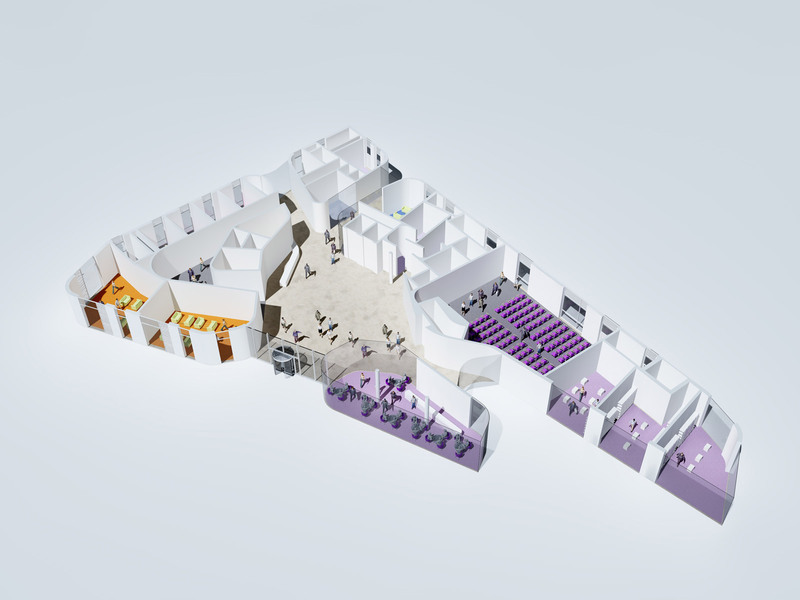 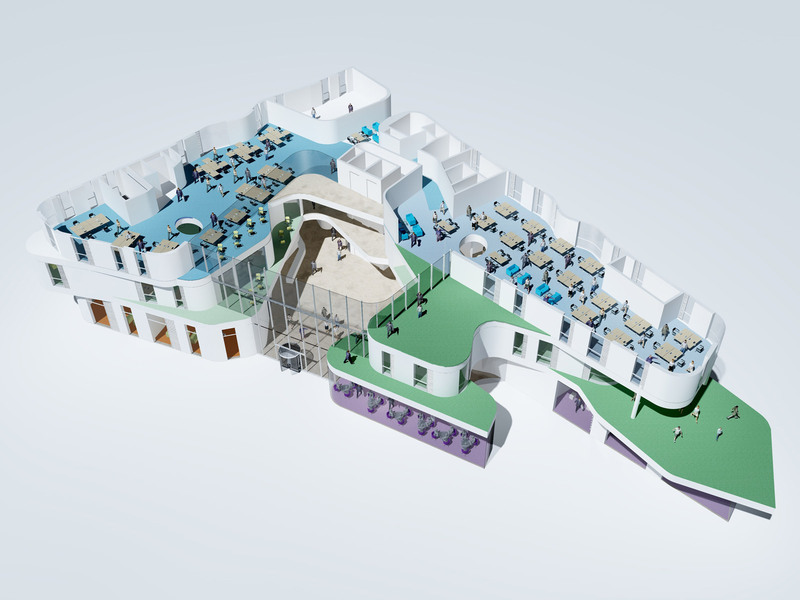 The design concept develops the idea of a ‘heart’ space allowing the community spaces to be experienced from all levels and areas within the building. 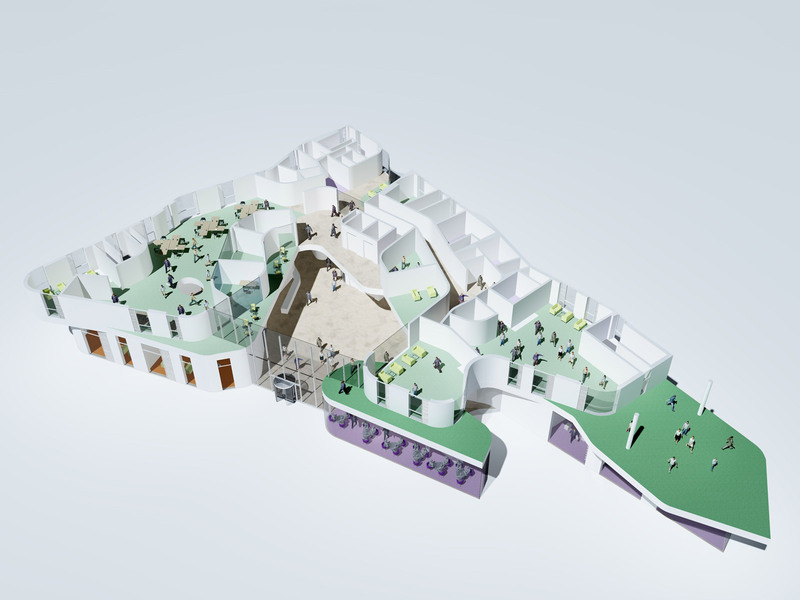 Subtle curves in the building form create a welcoming and engaging external envelope. 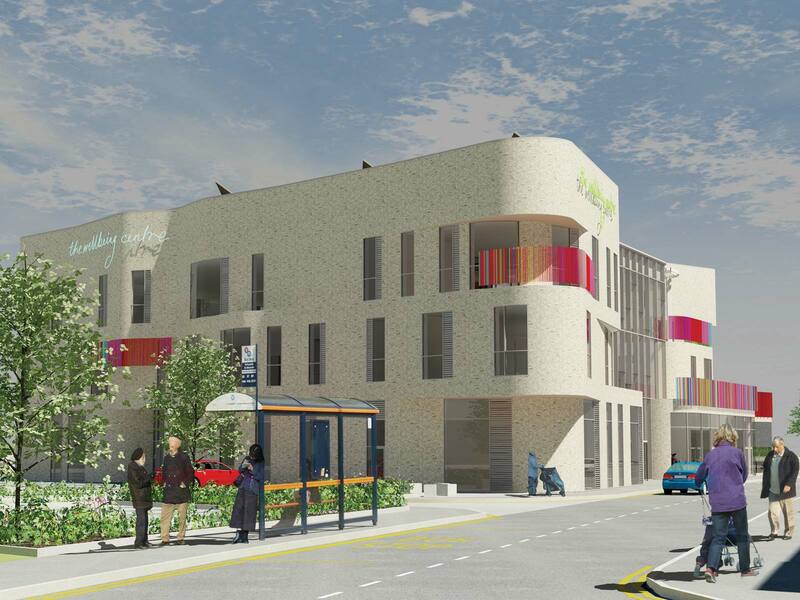 Masonry emphasises the dynamic form of the building and ensures a sophisticated addition to Smethwick High Street. 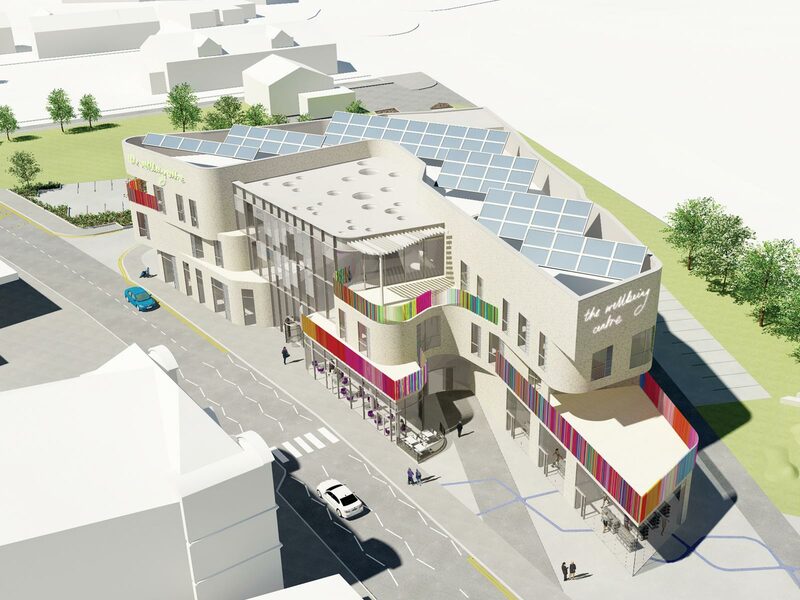 The building is designed to be an exemplar low energy building including ground source heating with boreholes, a photovoltaic array, and solar thermal heating.